This is a question being asked more and more, particularly in the utilities, housing and telecoms sectors, where often the repairs function sits outside of the span of control of customer service leaders. It also seems to be a conundrum for those businesses who employ service contracts with outsourced partners often using multiple suppliers to fulfil repairs and maintenance issues. The reality is customers expect a high level of service whichever way you interact with them, but how they and their home are treated is a highly emotive issue. Consistency is key and having a clear understanding of this vital part of the customer journey can have big implications on customer satisfaction and loyalty. Did our operative explain the fault and demonstrate the repair? Did the operative arrive at the time you were told? How satisfied were you with the quality of work carried out in your home? How would you rate the operative’s level of respect for you and your home? In a short sentence, please tell us what could we have done to improve your repair experience. You can naturally add in NPS, Effort and CSAT questions so you have a line of consistency with existing feedback surveys, but by tailoring the questions to a repair interaction, you can collect some highly valuable intelligence. So what about survey methodology? Gone are the days when a repairs person would ask a customer to fill out a satisfaction survey on a PDA (a highly intrusive and bias-inducing process). We’d suggest tapping into your CRM and workflow tools and when jobs have been completed export a batch of customer data and use this to trigger surveys once, twice or three times a day. As real time as you can make it so you don’t lose the customer’s memory of the interaction and, more importantly, allowing you to resolve any issues and dissatisfaction quickly. So now you’re collecting customer feedback after your repair interactions, how do you then make sure you can use this insight to drive valuable improvement? The first thing to think about is, wherever possible, try to build in some level of accountability. If you can tag interactions to specific repairs people, great, but at the very least you want a team or supplier view. This will help you quickly evaluate the strengths and weaknesses of the field service teams you’re employing and will help you drive effectiveness. What’s more, for those businesses using external contractors you can very quickly work out who drives value and who is turning off your customers. Your contact centre teams will also love it. Every day they are faced with a barrage of customer complaints about repairs people not turning up and problems not being fixed. Not only is this demotivating it’s also very difficult for them to quantify the impact this is having on the business and customer satisfaction. 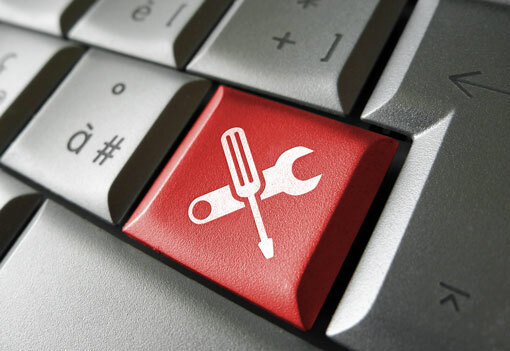 By using customer feedback with a decent data-analytics tool they will quickly be able to establish how often customers are dissatisfied with the repairs department. In turn, this will assist managers to evaluate the impact on NPS and loyalty scores and provides hard data on the service failure of these teams. Business leaders can then crack the whip and drive down avoidable calls into the contact centre. If you want to add in an extra dimension why not look for correlations between productivity and service levels. By comparing data, you can quickly establish which teams or individuals are the most effective but at the same time provide great customer care. A vital tool for coaching, training and beefing out service contracts. 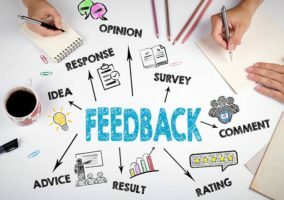 By collecting customer feedback using a joined-up real-time approach, you will quickly unlock a gold mine of insight which, if used correctly, will help you drive down customer complaints and improve customer satisfaction levels. What’s more, training and coaching opportunities will present themselves, helping you to better engage with your field repair teams.